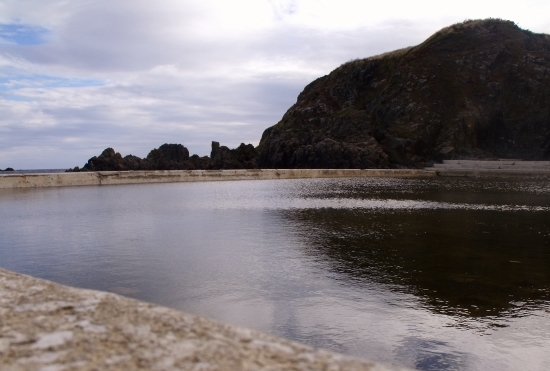 I recently explored Tarlair open air swimming pool with my husband and children. Despite having fallen into serious disrepair over the years, it retains a certain beauty, and is evocative – for me anyway – of times past. It was the scene of many halcyon days one summer; I was fifteen, and due to head off to college that September. I recall lying on the grass in the sun, messing around in the boating pool, buying sweets from the shop and chatting with friends. The hazy, golden hue of these bright points in memory is augmented by the nature of other events from that time. There was a face off with the girl who used to beat me up in primary school. There was an abusive incident with an older family member, he was much respected and I didn’t feel able to tell anyone. An older boy grabbed me on a bus and kissed and bit my neck; actually that’s not a dark memory; non-consensual and unexpected as it was, I found it rather exciting at the time… There were other daily disappointments, but it can be bitter to dwell too deeply; some things are over when they’re finally over, and they are now. But Tarlair remains bright, both as it is now, and as it appears in my nostalgic image of the past. Three girls on the brink of being women laughed together and talked of their hopes for the future. We swam in the water of the North Sea with all our clothes on and got changed in the only one of our homes that was free from adult disapproval. We ate chocolate in an abandoned campervan. We drank White Russians in a local nightclub where no one questioned our age; hangovers were revelled in the next day by the pool. None of our lives turned out quite how we hoped, we trailed far off those teenage maps we drew for ourselves that summer. We’ve all tasted despair but known great joy too. Maybe we couldn’t have had one without the other. Strong emotion increases our capacity to feel and to live and to love, surely the greatest experience of all. 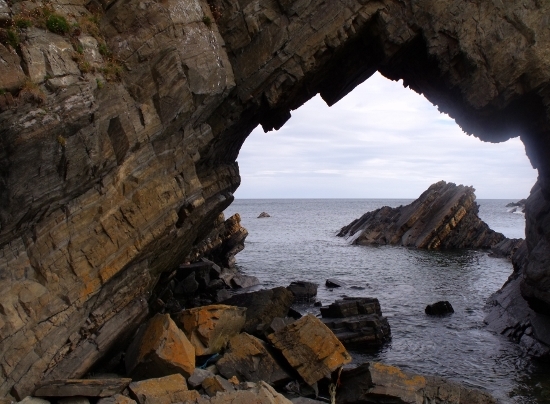 Below: looking out to the wider ocean through The Needle’s Eye, a rock formation beside Tarlair. This entry was posted in dark places, life and tagged beach, history, ocean, Scotland, summer. Bookmark the permalink. Beautiful photos! Whenever I’m wandering around Scotland with my camera, I’m always looking for good photo opportunities. Lovely post about times gone by, made me think of my own younger years with a smile.